It's 4/20 and one of your favorite smokers dropped a new mixtape at midnight -- Covert Coup with The Alchemist -- for you to get proper to. Curren$y has been around for a few years but recently has really started to show up on everyone’s radar with his music, and now his sneaker game. If you follow Complex’s “Spotted” section, you have peeped the kid rockin’ some legitimate heat as of late. We recently sat down with the New Orleans rapper and discussed his favorite shoes. 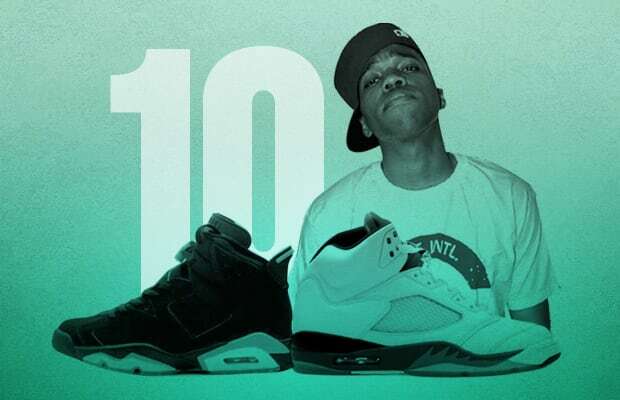 Click through the gallery to check out Curren$y’s 10 Favorite Sneakers of All-Time.